To a certain extent gardening feels like a waiting game. Once we get our plants and seeds into the ground, we immediately start looking forward to the day when we can harvest the food. But vegetables vary widely in the number of days they need to grow until we can harvest them for dinner. Radishes are ready to eat in as little as 21 days, while Brussels Sprouts can take up to 110 days. That’s a huge difference! Part of strategically deciding what you want to grow in your garden is knowing the time investment for each vegetable. If you want to extend your harvest into as many months of the garden season as possible, you’ll want to plant vegetables that take various lengths of time to deliver their harvest. In this blog post, you’ll learn the three different categories that most vegetables fall into. HOW MANY DAYS UNTIL YOU GET A HARVEST? These vegetables go from seed or seedling to harvest size in 40 days or less, which is pretty quick in garden time! I like to plant as many of these vegetables as possible in early spring when I’m starved for fresh vegetables from the garden. I want a quick harvest! They’re also a fun choice for gardening with kids to reward their interest in gardening with a fast payback. What does this mean for garden planning? These vegetables do best in cooler weather, so they should planted as early in the spring as possible. But if you plant only vegetables from this category, you’ll have plenty of food to harvest in the beginning of the gardening season, but not much during the summer and early fall because they’ll quit producing in the hot summer weather. These vegetables aren’t as quick out of the starting gate as those above. You’ll need to cultivate a little more patience while waiting for them to grow to harvest size. They’re usually ready for the dinner table in 40-80 days. This is the largest category, and it features many of the late spring and mid-summer vegetables that we all know and love. What does this mean for garden planning? 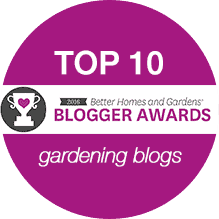 This category makes up the bulk of what most of us grow in our gardens. If you grew only this category, you’d get the majority of your harvest during the summer. Try mixing in some short-season vegetables for food in the spring and long-season vegetables to extend the harvest into fall and early winter. This will give you a more well-rounded garden and a longer duration of harvests. These vegetables are an investment in time, but they’re often worth it. They take their sweet time growing and developing, between 80–120 days until they’re ready to harvest. These vegetables give us gardeners a new perspective on how long it actually takes to grow some of the food we see in the grocery store. Gardening requires a lot of patience! What does this mean for garden planning? If you grew only vegetables from this category, you’d have to wait until late summer and early fall before harvesting food from your garden. Mix in some short and medium-season vegetables to ensure you have more months of harvests from your garden. Most of us don’t have room to grow everything that’s on our wish list. That’s why it’s important to strategically decide which vegetables will make the cut. Your garden planning homework for this post is to think about each of the vegetables you’re planning to grow this year and see what harvest category they fall into. Make sure you’re growing vegetables from all three categories. This is only one of the ways to evaluate each vegetable according to various characteristics. In my book, Smart Start Garden Planner, we also talk about in which season you can expect a harvest, how big the plants grow, how much food you’ll harvest from each plant, and how to use all of these factors to decide which vegetables are “worth it” for you to grow. I even created a handy Veggie Essentials Cheat Sheet at the back of the book that organizes each vegetable and it’s characteristics. Check out the book here.